Manufacturer of a wide range of products which include anti crane collision switch, window sensor, anti crane collision, flame sensors, zero speed switch and laser line generator. Being a client-centric company, we are engaged in offering a distinct collection of Anti Crane Collision Switch that is safety device to avoid to collision of two electric overhead travelling crane working on the same rails. The offered collision switch is designed and precision-engineered for their higher functionality and durable work life. 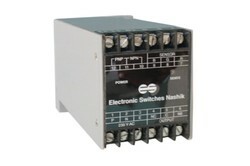 In addition, our collision switch is tested on diverse parameters in order to ensure its flawlessness. Range : 3mtr. / 10 mtr. In line with clients' diverse requirements across the nation, we are engaged in providing best quality Zero Speed Switch. This switch is manufactured by our experienced professionals by utilizing high grade raw material and sophisticated technology. Offered switch is perfect for Steel plant, Thermal power station, and Tiles factory, and fertilizer plant, blowers for heating system, coal factory, cement factory, food industries, textile industries & automobile industries. 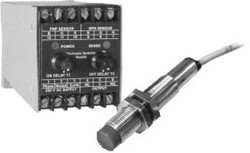 PPD T1 T2 - Timer : Adjustable upto 10 Sec. 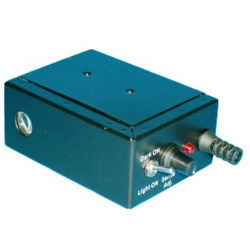 Our firm specializes in offering a wide assortment of Registration Mark Sensor. 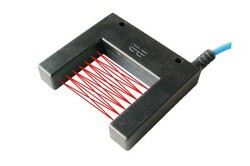 Our provided mark sensor is suitable for sensing registration mark at packaging machine & form fill seal machines. 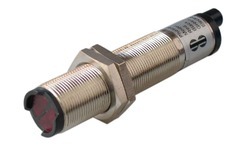 Offered mark sensor is stringently tested on various parameters in order to deliver defect free range. 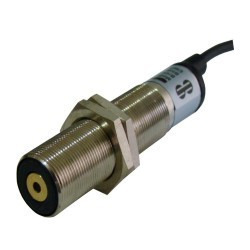 We offer this mark sensor in various technical specifications and can be custom design in order to meet the diverse requirements of the customers.